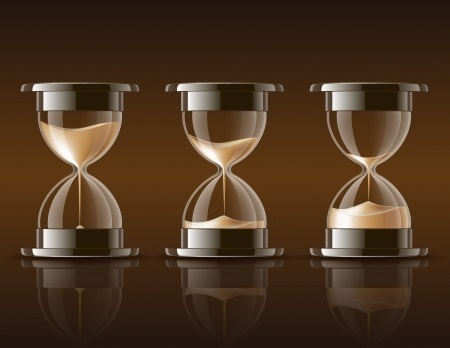 What is a Statute of Limitations for a Lawsuit? Home » Legal Library » What is a Statute of Limitations? A statute of limitations governs the amount of time prospective plaintiffs have in which to file personal injury claims. These deadlines vary from state to state. Lawsuits that are not filed before the statute of limitations expire are time-barred, and the injured person’s right to sue is forfeited forever. How Does the Statute of Limitations Work? All states have enacted statute of limitations that require personal injury plaintiffs to file a lawsuit within a specific period of time after an injury occurred. These limits range from 1-to-6 years. In many states, the statute does not begin to run until an individual knew (or should reasonably have known) that they have suffered harm, and the nature of that harm. This is known as the “discovery of harm” rule. Thus, if someone suffers a personal injury but does not discover that injury for several years, they may still be able to file a lawsuit against the responsible party. However, any delay in discovery must be one that is reasonable under the circumstances. It’s not unusual for a state to enact different statutes of limitations for various types of personal injury claims. For example, some have instituted shorter deadlines for medical malpractice cases compared to product liability claims. A number of states also extend the statute of limitations in cases that involve minors under the age of 18. Finally, several states have enacted what is known as a “statute of repose,” which bars lawsuits after a certain specific action has taken place, such as the sale of a product. The victim was a minor at the time that the injury occurred. The victim of the injury was not mentally competent at the time of the injury. If the defendant has filed a bankruptcy action, the statute of limitations will be tolled until the bankruptcy is resolved or the automatic stay is lifted. What is the Statute of Limitations in My State? ALABAMA: One year from the time when the injury is or should have been discovered. ALASKA: Two years from the time when the injury is or should have been discovered. ARIZONA: Two from the time when the injury is or should have been discovered. The state has enacted a 12-year statute of repose that begins to run once the product is first sold, however, it does not apply to lawsuits based on negligence or breach of warranty. ARKANSAS: Three years from the time when the injury is or should have been discovered. CALIFORNIA: Two years from the time when the injury is or should have been discovered. COLORADO: Two years from the time when the injury is or should have been discovered. CONNECTICUT: Two years from the time when the injury is or should have been discovered. Connecticut has 10-year statute of repose that begins to run once the manufacturer or seller has last parted with the product. DELAWARE: Two years from the time when the injury is or should have been discovered. WASHINGTON, D.C: Three years from the time when the injury is or should have been discovered. FLORIDA: Two years from the time when the injury is or should have been discovered. The state has enacted a 12-year statute of repose, with various exceptions. GEORGIA: Two years from the time when the injury is or should have been discovered or one year from the date in which death has occurred. Georgia has a 10-year statute of repose, subject to various exceptions. HAWAII: Two years from the time when the injury is or should have been discovered. IDAHO: Two years from the date in which the occurrence of the injury took place. The state has enacted a 10-year statute of repose, though it is subject to various exceptions. ILLINOIS: Two years from the date in which the occurrence of the injury took place. There is a 12-year statute of repose that begins to run once the product is sold and a 10-year statute of repose that begins to run once the product is delivered to the first owner. INDIANA: Two years from the date in which the occurrence of the injury took place. The state has enacted a 10-year statute of repose. IOWA: Two years from the date in which the occurrence of the injury took place. KANSAS: Two years from the date in which the occurrence of the injury took place. KENTUCKY: One year from the date in which the occurrence of the injury took place. If injury did not occur within eight years of the product’s use, there is a rebuttable presumption that the product does not contain a defect. LOUISIANA: An action must be brought within one year from the date in which the occurrence of the injury took place. This statute does not apply to minors. MAINE: Six years from the date in which the occurrence of the injury took place. MARYLAND: Three years from the date in which the occurrence of the injury took place. MASSACHUSETTS: Three years from the date in which the occurrence of the injury took place. MINNESOTA: Four years from the date in which the occurrence of the injury took place. MISSISSIPPI: Two years from the date in which the occurrence of the injury took place. MISSOURI: Five years from the date in which the occurrence of the injury took place. MONTANA: Three years from the date in which the occurrence of the injury took place. NEBRASKA: Four years from the date in which the occurrence of the injury took place. The state has enacted a 10-year statute of repose that begins on the when a product is first sold. NEVADA: Four years from the date in which the occurrence of the injury took place. NEW HAMPSHIRE: Three years from the date in which the occurrence of the injury took place for most cases. However, when a legal duty has been imposed by the government, the lawsuit must be filed within six years. New Hampshire has also enacted 12-year statute of repose, which begins to run once the product is manufactured and sold. NEW JERSEY: Two years from the date in which the occurrence of the injury took place. NEW MEXICO: Three years from the date in which the occurrence of the injury took place. NEW YORK: Three years from the date in which the occurrence of the injury took place. NORTH CAROLINA: Six years from the date of the initial purchase. NORTH DAKOTA: 10 years from the date of the initial purchase or within 11 years of the date of manufacture. OHIO: Two years from the date in which the occurrence of the injury took place. OKLAHOMA: Two years from the date in which the occurrence of the injury took place. OREGON: Two years from the date in which the occurrence of the injury took place. The state has enacted an eight-year statute of repose. PENNSYLVANIA: Two years from the date in which the occurrence of the injury took place. RHODE ISLAND: Three from the date in which the occurrence of the injury took place. SOUTH CAROLINA: Three years from the date in which the occurrence of the injury took place. SOUTH DAKOTA: Three years from the date in which the occurrence of the injury took place. The state has enacted a six-year statute of repose, which begins to run after purchase. TENNESSEE: Four years from the date in which the occurrence of the injury took place. Texas also has statute of repose that runs six years after an injury and 10 years after the initial purchase of a product. TEXAS: Two years from the date in which the occurrence of the injury took place. UTAH: Two years from the date in which the occurrence of the injury took place. VERMONT: Three years from the date in which the occurrence of the injury took place. VIRGINIA: Two years from the date in which the occurrence of the injury took place. WASHINGTON: Two years from the date in which the occurrence of the injury took place. The state has enacted a 12-year statute of repose. WEST VIRGINIA: Two years from the date in which the occurrence of the injury took place. WISCONSIN: Three years from the date in which the occurrence of the injury took place. WYOMING: Four years from the date in which the occurrence of the injury took place. Please contact Bernstein Liebhard LLP today at (888) 994-5118 if you think you might be eligible to file a product liability lawsuit involving drug side effects, a faulty medical device, or a defective consumer product. Our attorneys will look into the statute of limitation issues affecting your case, and determine whether or not you can proceed with a claim.